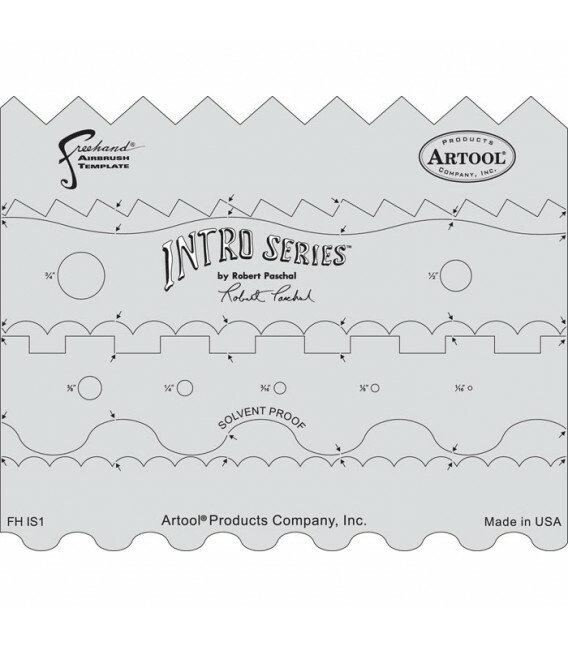 INTRO SERIES FHIS1 INTRO SERIES FREEHAND ARTOOL TEMPLATES templates AIRBRUSHING - Belles Arts Ferran, S.L. "Designed to introduce the beginning airbrusher to the many uses of Freehand® Airbrush Templates and consisting of seven template shapes, the Intro Series? comes attached by tiny tabs in one convenient sheet."